Before I get into my review of Adam's Rib Smokehouse, let me mention that I lived in Texas for two years. Texas: Home of BBQ. I've been known to drive over an hour for the sole purpose of a plate of perfect brisket, tangy pulled pork, spicy sausage and moist chicken. So I tried Adam's Rib with some trepidation, expecting to find a poor substitute for BBQ. I was pleasantly surprised. It's certainly not the best barbeque I've ever had, but it greatly exceeded my expectations for a barbeque joint in Oregon. We both had combo plates, I had pulled pork and pork ribs, and my friend had pulled pork and brisket. The only disappointment was the brisket. I'm used to getting thick slices of smoked beef, ready to be smothered in sauce. The brisket at Adam's Rib came shredded, similar to the pulled pork. The flavor was lacking—it was a bit hard to tell what it was. The ribs I got were great. I would order them again for sure. And the pulled pork was quite good, full of flavor. I like the variety of sauces, there are 6 at the table. The spicy wasn't quite spicy enough for my taste, but it was fun tasting them all. There are a lot of sides to choose from, I got potato salad (made fresh on site, very tasty) and coleslaw (also made on site, tasted a bit less fresh though), and it came with corn muffins that, while dry, tasted great dipped in sauce. And as a final note, I am truly thrilled to find somewhere in Salem that serves homemade sweet tea. I think I had 3 big glasses. I love southern style sweet tea, and theirs was good—not too sweet, and full of flavor. I've always liked Adam's Ribs but I can never convince the family to go over there. They love Buster's. I'll have to tell my wife about the pulled pork, she'll go there for that. There sauces are really good. i'm so glad you reviewed this.... havent been eating much BBQ in salem since smokin' swine closed. i'll have to try this place! We've been twice. The first time, we oooed and ahhed and cleaned up every speck from our plates. The second time not only was the meat dry, overcooked and barely warm, but the service was on the surly side. I'm sure we'll go back eventually, as long as we remember that they close earlier than most restaurants. I wish restaurant staff understood that every customer counts . . . and keeps them employed. Nice review. I have a suggestion. When you do a new review, include the address, phone, and hours. Just for my convenience. :) Thanks. I went yesterday to pick up a couple pulled pork sandwiches for my boss and I. I got caught talking to an old friend and didn't take our food until probably 15 minutes after it was done. To my surprise, the sandwiches and mashed potatoes were still hot and great tasting. A great lunch experience. Yea for Adams Rib. We've eaten there four times and always found the food filling, enjoyable and hearty. Best barbecue in Salem for my taste. If you've never had the pleasure of eating BBQ in Texas before, then you will probably enjoy it. Once you've had the best, it's hard to face the rest. Been actively trying to go here for the last 2 months. Tried for the 3rd time today and once again- closed! I give up. Salem, why do you have to turn into a ghost town every Sunday. No open restaraunts, no public transportation. Pathetic. I suppose the slowness of Salem is what many people like about Salem. As far as public transportation, it's a shame that it's not better. The residents won't support it. The city does not have the will. Bus riders have to deal with stigma. The residents in Salem don't view public transportation as an integral part of a thriving city as do the residents of Portland and Eugene. I'm noticing more bikers on the road. The residents and the city need to support these folks. Unimpressed. I've been craving some pork ribs for awhile now and watching the Food Network BBQ weekend didn't help the situation. I don't eat beef so when my hubby wanted some irish stew for himself, I felt this was the perfect excuse to have some ribs. I ordered the 1/2 slab, thinking I would have some left over for lunch. I arrived a little before 6pm to find a total of 4 people in the place. For my sides I chose the potato salad and macaroni and cheese. My order was to go and I forgot to tell the waitress what kind of bread I wanted and what kind of sauce I wanted. Let's start with the ribs. They were below luke warm in temperature and very dry. There were about 4 1/2 ribs in total and since I forgot to choose a sauce they gave me NONE. They weren't ribs, they were jerky. The potato salad wasn't anything special and the macaroni and cheese lacked any kind of cheesy flavor. Again, I forgot to choose my bread so I was given the corn bread which was dry and too grainy for my taste. I've been twice. The first time was a few years ago, when they were still on Market st. I wasn't that impressed then, but my brother was. I went a few months ago and was once again dissapointed. The place was dead, and we were instructed to grab a table. We looked over the menu and WAITED. We assumed that a waitress would come over, but instead she stood at the register not looking at us. We finally realized that we needed to order there and then take a seat. The food was mediocre for the most part, although my Salmon was nice and more than I could eat. The side dishes that accompanied our meals were terrible--old tasting, dry, etc. I think that the biggest problem with this place isn't the place itself, I think it's the lack of business. I'm sure if the food were moving out of the kitchen and new food was being made regularly, it would have been great. Maybe I'll try it again when it's busy. I've been twice as well. A third time is out of the question. The help is unfriendly, the side dishes tasteless, and the pulled pork sandwich mediocre at best. I miss the South. The little french place that used to be there was Fleur du Sel. And yes - the food there was amazing. The chef/owner is now working in Portland where his talents are more in-line with the daily expectations of his dining crowd. 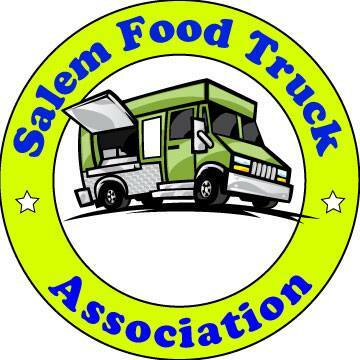 It would be great if Salem diners would continue to embrace locally owned establishments and drive on by the nationally owned chains located out on Lancaster Drive. Ate there today for the first time. Ordered a rack of beef ribs. It was a little over $21 and no way worth it. The ribs were dry, like a jerky and so salty. Tasted like someone lost the salt shaker. That combined with the fact they were so greasy, I could barely stomach two ribs. The fries were greasy, soggy, and had lots of burnt pieces. Looked like it was cooked in old grease. Barbeque sauce tasted spoiled. I tried three and after that gave up. First time ever eating barbeque with no sauce. The beans were okay, a little too much pepper, but certainly nothing to brag about. I would not reccommend anyone go there if they want good barbeque. Definitly nothing southern about it. The atmosphere was pleasant and everyone was nice, but it's self serve all the way and bus your own table to their overflowing dirty trash can. Just ate here for the first time -- such a disappointment. A lover of BBQ, I havent ventured out much since the closure of Smokin' Swine. Was very excited to try Adam's. I had the pork ribs, and they were ok, but barely lukewarm. What? Large inedible fatty portions that should have been trimmed. The six BBQ sauces all tasted the same, and none that claimed to be were spicy. I appreciated the habanero hot sauce on the table, yum. The sides I had: a corn muffin, grabbed out of a giant plastic tub sitting out on the counter with not even a lid to keep things fresh (muffin: dry, grainy, tasteless), an atrocious excuse for macaroni and cheese, which I ordered after seeing a photo of gooey goodness on the counter -- it was dry, old, COLD and tasteless. This was below-bar of even mac and cheese leftovers in my own fridge. If they can't serve it well, why bother? At least keep it hot! At least put cheese in it! The hush puppies were ok. Just ok, and the highlight of my meal. Overall my meal was like bad cafeteria food.... except not kept hot. They were out of a nice Willamette Valley Pinot Noir, so I took the only other red choice, a merlot. The waitress forgot to credit me for the price difference. I let it go. More on that later; my glass of merlot was actually warmer than room temperature. And it tasted like the inside of the cupboard, very stale. It had been opened on the shelf much too long... It was truly awful. The line was long at the counter by this point, and we had somewhere to be, so I didn't say anything. I should have. Something that seems needing improvement was the service set up: as one girl took orders, made change and poured drinks at the counter (with a crowd stacking up quickly behind us), the three in the kitchen stood around. Why didn't one of them help expedite and pour drinks? Or something? Felt bad for the girl, who forgot to give me my change during the wine dilemma and then acted like I was trying to scam her out of changing me back twice. Which I wasn't. Their "Best of the Mid-Valley: BBQ" sign out front made me chuckle..... since they are the only BBQ joint left in Salem. I suppose they won by default, certainly not by merit. I considered not writing this review as I am an employee of two small Salem business -- one a restaurant -- and know how difficult it can be to succeed. However, to have a chance at succeeding you need to have the basics down: proper food and service. I can overlook poor service for stellar food... Adam's does not have either. We just ate here for the first time tonight. I was expecting to have some great BBQ as Adam's is listed on this website as one of the best places to eat in Salem and also claims to have been voted the best BBQ in Salem, this must be the only BBQ in Salem. I ordered the low-carb Tri-tip which came with grilled veggies instead of bread. The veggies were good, while the tri-tip was just okay. My husband ordered the brisket sandwich. He said it was okay, but greasy, nothing he would order again. He also ordered the mac & cheese as his side for our 4 year old daughter. The mac & cheese was horrible, it was mushy noodles with no cheese flavor at all. We also decided to order a kids meal of riblets to share and the fries for our daughter. The riblets were almost inedible. They were mainly fat and really tough, dry meat. Nowhere near tender and falling off the bone, like you would expect. The fries were also soggy and greasy. Overall a disapointing meal. 1. Pulled pork sandwich was very very good. 2. Cheeseburger was good. Worth coming back for. 3. Kids riblets were disgusting. I was still hungry after my pulled pork sandwich and excited that my daughter didnt want to eat them then I figured out why. Big mass of chewy something with odd shaped bones hiding in it and old cooked on BBQ sauce. It was TERRIBLE. It was like it had been stewing in the bottom of a crock pot all day. Too smoky. 4. Fries were very good.